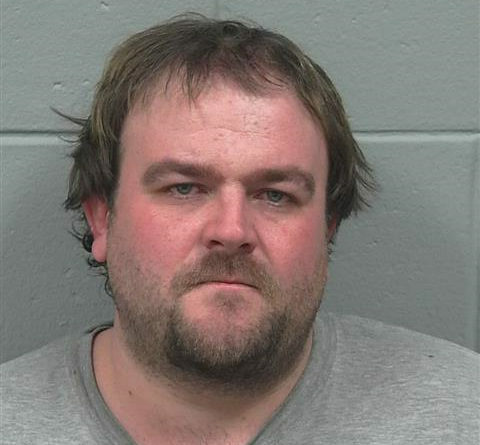 Jessee Mackin, 36, of Millinocket. Jessee Mackin, 36, has pleaded not guilty to manslaughter in the death of 6-month-old Larry Earl Lord on May 7, 2015. He was born Oct. 24, 2014, in Houlton to Anthony Lord and Jamie Clark. The baby died as a result of bleeding in his brain and a fractured skull, according to the Maine attorney general’s office, which is prosecuting the case. Mackin and Clark were living together when the baby died. Lord, 38, of Crystal is serving two life sentences at the Maine State Prison in Warren in connection with a two-county rampage in July 2015 — two months after his baby’s death. He was sentenced Aug. 8, 2017, after he pleaded guilty to murdering Kyle Hewitt, 22, of Benedicta and Kevin Tozier, 58, of Lee; shooting and wounding Kim Irish, 57, Clayton McCarthy, 57, and Carlton Eddy, 52, all of Benedicta; and assaulting Kary Mayo, 40, of Silver Ridge with a hammer. At his sentencing, Lord blamed his actions on the loss of his son and his frustration over how long the investigation was taking. Mackin was indicted for manslaughter on Feb. 24, 2016. He remains free on $25,000 cash bail. Defense attorney Stephen Smith of Augusta said Monday that his client would be found not guilty. The trial is scheduled to last through Friday. Superior Court Justice William Anderson is expected to issue a written verdict several weeks after the trial ends. Defense attorney Stephen Smith of Augusta did not immediately respond to a request for comment Monday. It is the practice of the Maine attorney general’s office, which was closed Monday for Patriot’s Day, not to comment on pending cases. If convicted, Mackin faces up to 30 years in prison and a fine of up to $50,000.